Forum Index > Off-topic Talk > Any historical record of punching gauntlets? 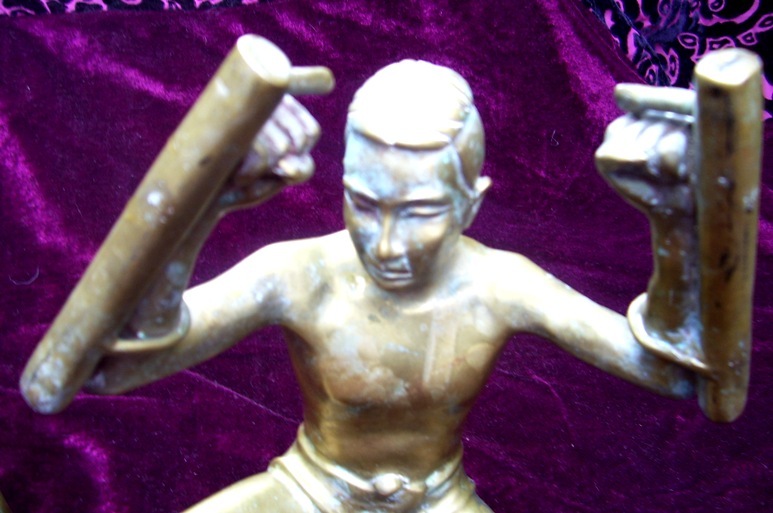 Posted: Mon 05 May, 2008 1:32 am Post subject: Any historical record of punching gauntlets? 2) Is the Gauntlet in the Sword-and-Gauntlet fencing style/s used for strikes, or is it purely a defensive thing? What kind of Gauntlets do they use for that anyway? 3) What design features can you recommend, you western armour experts? Any possible historical model I might want to take my design from? 4) Reinforcing where for the type of impact? What do you suggest for wrist support? 5) Padding material (any material whatsoever will be considered... remembering the plates are Titanium, so by no means historical...) ? 5) What kind of glove do you think I should use, as the armoury said they intend to build the Gauntlets onto gloves? Any help or advice you could offer on this would be greatly appreciated. I'm certainly no expert on plate armour at all. Well, there's always the classical Cestus, though that's not exactly a gauntlet per say. I'd think leather gloves with the outer side (top of hand) filled with lead shot would be a bit more practical. I had thought of using a caestus, dull myrmex or blunt sphairai design with modern materials, especially with the seemingly renewed interest in pankration a few years back. But I have since decided that as I intend not to use historical materials, that a new design, based on what we now know about hand protection and historical knowledge of gauntlets was needed. A new type of punching gauntlet... maybe it'll catch on... who knows? Unfortunately though, I know nothing about gauntlets, save what I have learnt from a little library and internet research and at university, so I really need help to get the best design realised. Plus, they're going to be quite expensive to have made, so I want them to be as purpose-perfect as possible. I started to think that a clamshell-type gauntlet pattern would be ideal, but have since thought of the potential damage to both the pieces themselves and whatever they impacted with, should I make contact with the edges of the lames. I also thought of using regular run-of-the-mill heavy-bag mitts as the gloves to base them on, but have started now to think that something more fitting, and possibly custom made, might be the thing. Of course that makes them even more expensive. I don't see how I can keep the costs down on these and still get them made, so I'm preparing to go all out. Do any other armourers have any advice for me on this? Can anyone suggest a good gauntlet to use as a base model? What does a 15th Century Milanese Clamshell look like anyway? I think if one made a metallic gauntlet meant for punching, you would best have what would basically be a knuckle-duster built into it. Having that piece that fits against your palm would improve the distribution of stress against your wrist, and allow more force to be transfered without hurting yourself. I'd probably also add some form of padding, maybe thin, somewhat dense foam-rubber, around the knuckles to further reduce stress, and minimize impact of one's hand against the steel of the gauntlet upon striking. And maybe not spikes, but definately pyrimidical studs or something similar. All about force concentration, just like it's done with warhammers that have 4-prong heads. 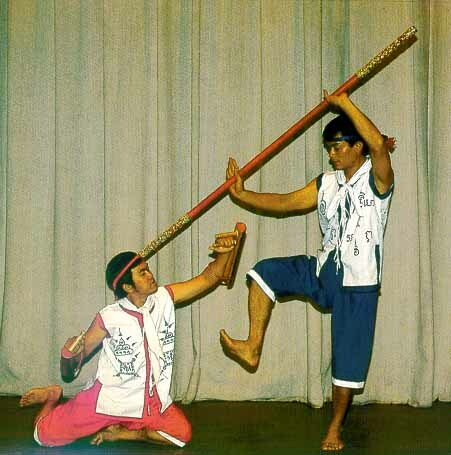 There is a pretty obscure weapon called the mai sawk or the the mai sun sawk from krabi krabong (Thai weapon-based martial art predating muay thai). Descriptions refer to them alternatively as shields or clubs, but they were certainly mounted on the forearm and gripped in the fist, and used to execute punching and blocking techniques. I think there's actually a good argument that these guys led to the guard stance that you see in modern muay thai that uses a lot of forearm blocks. Anyway, I think one advantage this design has is that it will help distribute the shock of a blow through the larger bones of the forearm and wrist, if it were tightly attached. You could certainly combine a bracing system like that into your gloves, which would dramatically increase how much power you could safely commit into a hard target.